Learn the basics of Belly Dancing. This course focuses on posture, isolations, basic Egyptian technique, and vocabulary of movement. It is designed to give students a great low impact workout that improves flexibility, coordination, and muscle tone. 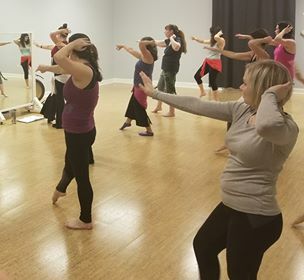 Belly Dance is appropriate for all ages and body types; plus, it's fun! No prior dance experience necessary. Suggested Attire: Please wear comfortable clothing appropriate for working out. Although not required, you may tie a scarf around your hips (fringed shoulder shawl is an inexpensive option). Bare feet preferred. **THIS CLASS IS A 12-WEEK SESSION. No Refunds, Prorates, Drop Ins, or Makeups. This course is a progressed continuation of Belly Dancing for Beginners. New movement vocabulary, the concept of layering, travelling steps, and common Oriental rhythms are introduced. At least two sessions of Belly Dancing for Beginners are required to register for this class. No Refunds, Prorates, or Drop Ins. Makeups available with Belly Dancing for Beginners class on Monday evenings 7:30PM. This invitation-only class is designed for dancers already possessing fundamental belly dance vocabulary who wish to elevate their practice to the next level. Layered movement, shimmies, turns, and traveling combinations are featured in this Egyptian-styled Oriental class. Students will acquire a greater knowledge and understanding of classic Oriental rhythms and music. Emphasis will be placed on personal development, stagecraft, performance skills and improvisational skills. Please contact Gina at glwnolan@gmail.com for questions regarding level placement. Full payment required to hold your class spot. No Refunds, Prorates, or Drop Ins. 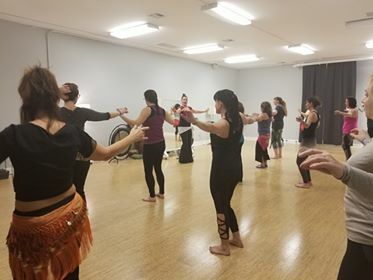 Makeups available with Beyond Beginning Belly Dance class on Wednesday evenings at 5:30PM, or Belly Dancing for Beginners class on Monday evenings 7:30PM. 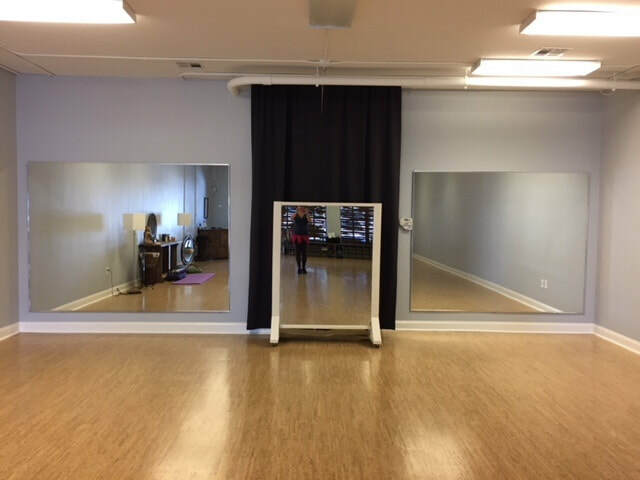 ​Breathe Yoga Scenic is located at 3101 E Cervantes St, Pensacola, FL 32503. It's on the left-hand corner of the strip mall with Arrow Salon and Subway. featuring Master Instructor Ahmed Hussien! Workshop participants invited to perform in the show. First come, first serve sign-up through April 13, 2019. Workshop fees, music, and completed Performer Information Form all due by April 13, 2019 or performance slot will be forfeited. 5-minute time limit for soloists; 7 minutes for troupes. Please email Gina at glwnolan@gmail.com if you are interested in performing. Vendors welcome! Please email Gina at glwnolan@gmail.com for registration information. Full Package: $125. Includes both 2-hour workshop classes and one free Showcase ticket. A La Carte: $75 for one 2-hour workshop class. *Cash ONLY will be accepted the day of the event!